Project management competencies are now an integral part of many public and private sector jobs. However, good project management skills are rare and there is a growing realization and need for effective planning and management of projects. Developing the capacity to plan and design sound projects is crucial to the implementation of effective policy-driven programs. Project design is an early phase of the project where a project’s key features, structure, criteria for success, and major deliverables are all planned out. The aim is to develop one or more designs which can be used to achieve the desired project goals. Stakeholders can then choose the best design to use for the actual execution of the project. 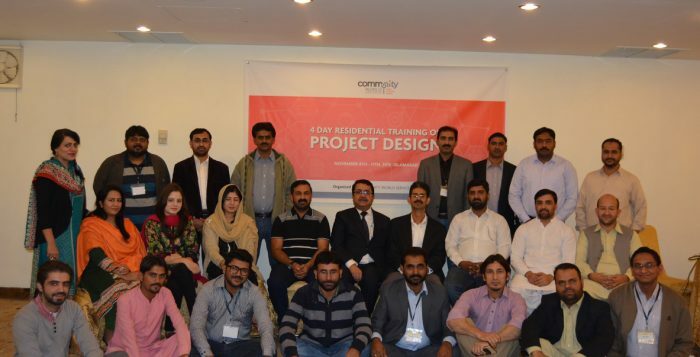 As part of Community World Service Asia’s response to the demands for more support on awareness raising and capacity building for aid and development workers, a four-day training on Project Design was conducted from November 8th to 11th, 2016 in Islamabad. 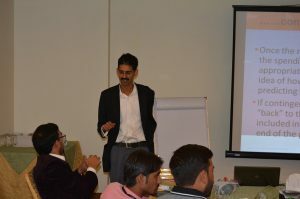 Waqar Haider Awan was the lead trainer for these sessions. His field experience in development, capacity building and policy development sector provided him with a clear understanding of the current issues in designing successful projects for livelihood, youth development, human rights, civic participation, good governance and child/women’s rights. 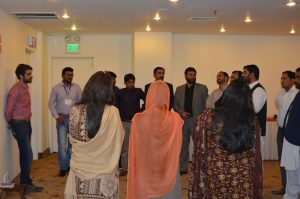 Moreover, Rizwan Qazi, co-facilitated the training, being a Community World Service Asia representative. 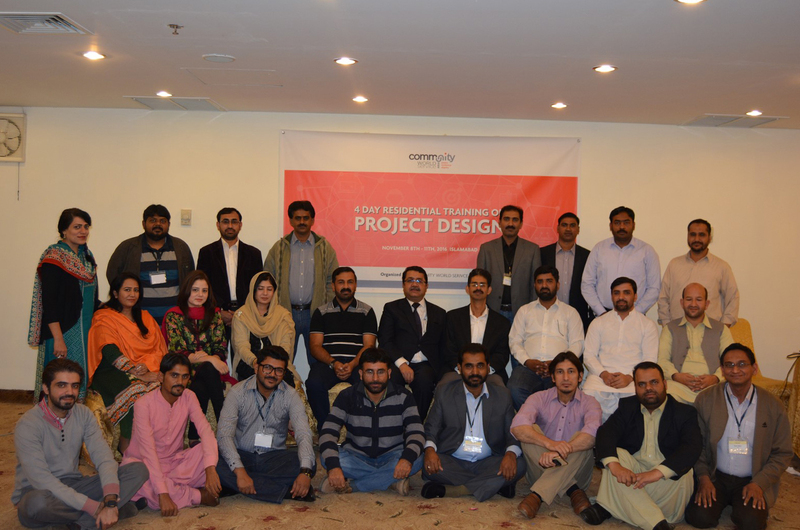 This four day course provided participants with a solid foundation on Project design. It aimed to assist organizations in designing high quality projects as per international requirements and to implement, monitor and evaluate them according to international standards as well. Twenty three participants from range of local NGOs, CSOs, government bodies and cultural institutions took part in this training. 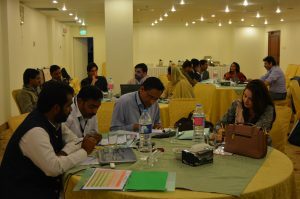 Many of them planned to utilize the knowledge and experience gained through the training towards identifying the needs and supporting minorities in Pakistan. The tools gained during the training will be practiced in project development and proposal writing activities of the community. 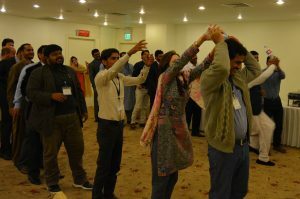 Participants were very enthusiastic about the training and the topics discussed; the interactive nature of the training, the opportunities given to link theoretical concepts with their existing experience, showing examples and collecting examples from participants, group and individual works actively engaged the group in the training. The training was successful in generating interest of the participants in applying their knowledge for the community’s benefit at large. 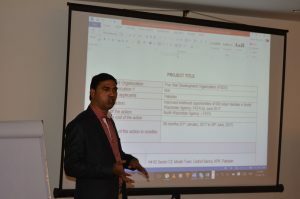 Thus, one of the most important results of the training being an increased motivation and enthusiasm for community development projects and recognizing the importance of Project Cycle Management in proposal writing activities and its implementation thereby. Gul Hameem Khan, a participant from CHEF International appreciated Community World Service Asia’s efforts in bridging the gaps in their skill sets and catering to the ever-evolving needs of the development sector through organizing trainings on specific topics like these. Rabia Sabri, the chief guest and Membership & Partnership Coordinator of the Pakistan Humanitarian Forum (PHF), highlighted the importance of writing a good proposal for the sustainable growth of an organization. She praised the content covered during the workshop and hoped that this training would be beneficial to the organizations in widening their donor base.